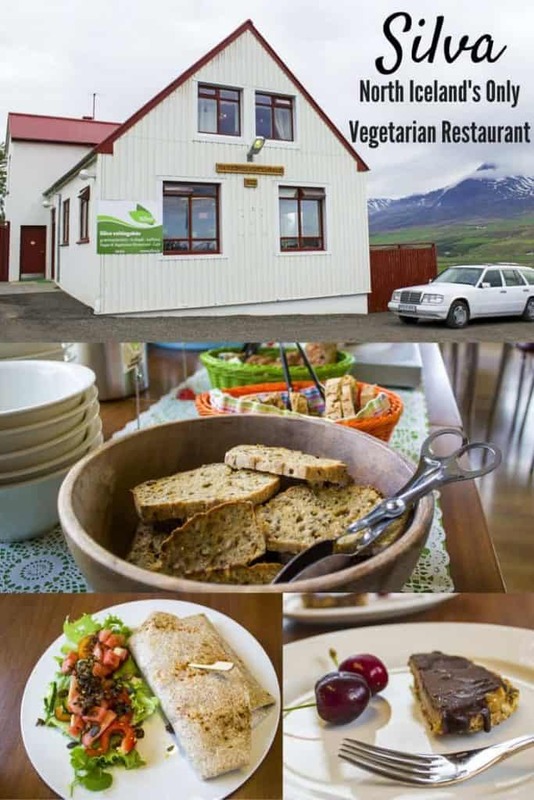 Silva is the only vegetarian and vegan restaurant in North Iceland. 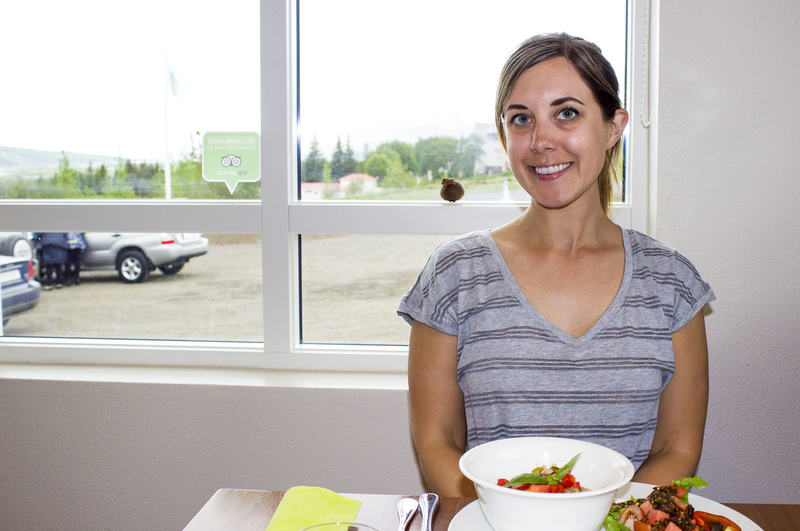 It’s actually the only vegan restaurant outside of Reykjavik! 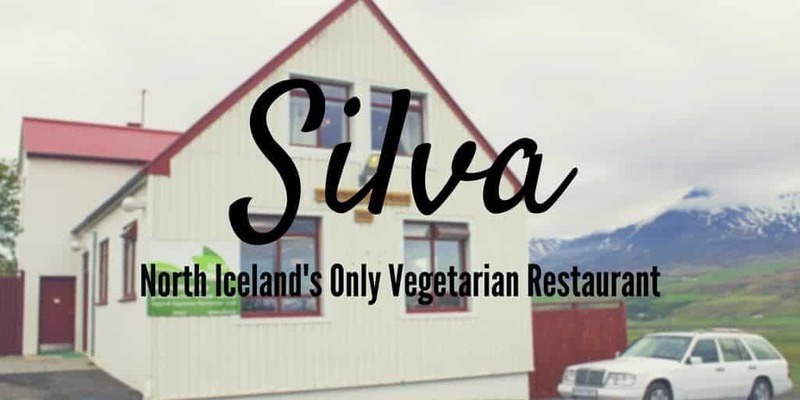 Silva is a vegan and vegetarian restaurant that’s a short drive away from Akureyri, a city that’s considered to be the capital of Iceland’s north. It’s nestled in the countryside in the village of Eyjafjarðarsveit, near Eyjafjörður. 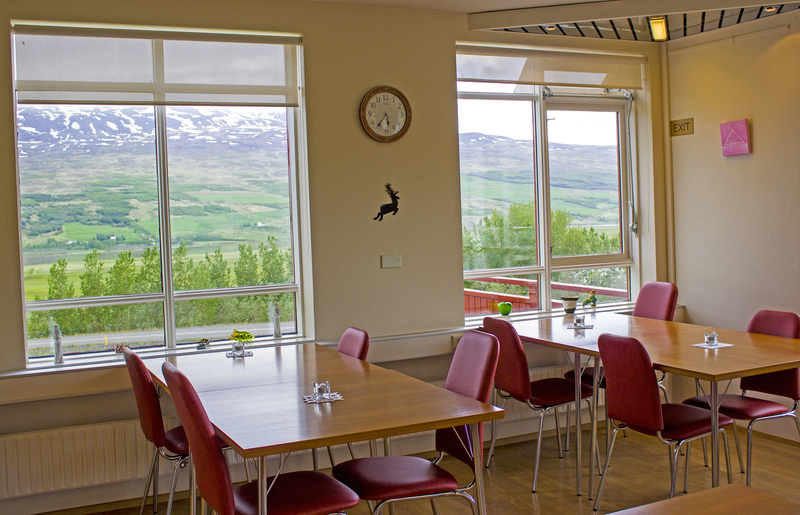 As you dine, you are treated to spectacular views of Eyjafjörður, the longest fjord in Iceland. Silva is a cute establishment serving mostly vegan meals, with a couple of vegetarian dishes that can be made vegan upon request. 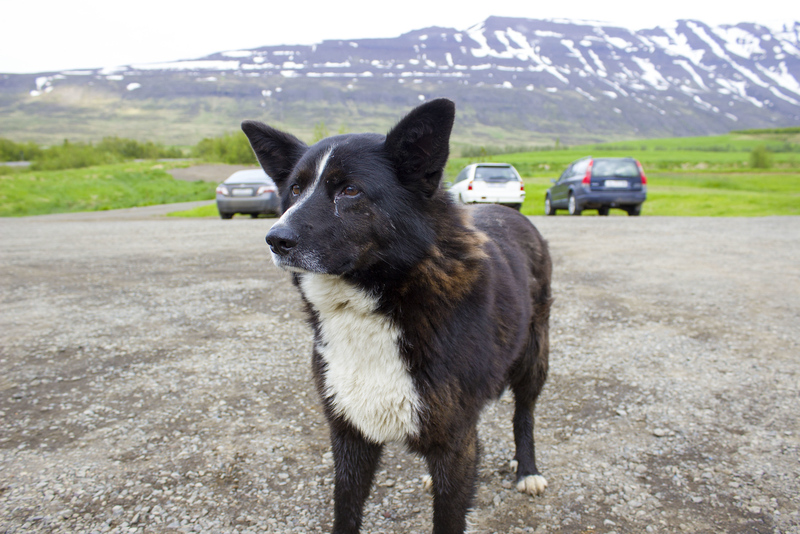 Besides Kaffi Vinyl in Reykjavik, Silva was the most vegan-friendly place that we visited in all of Iceland. 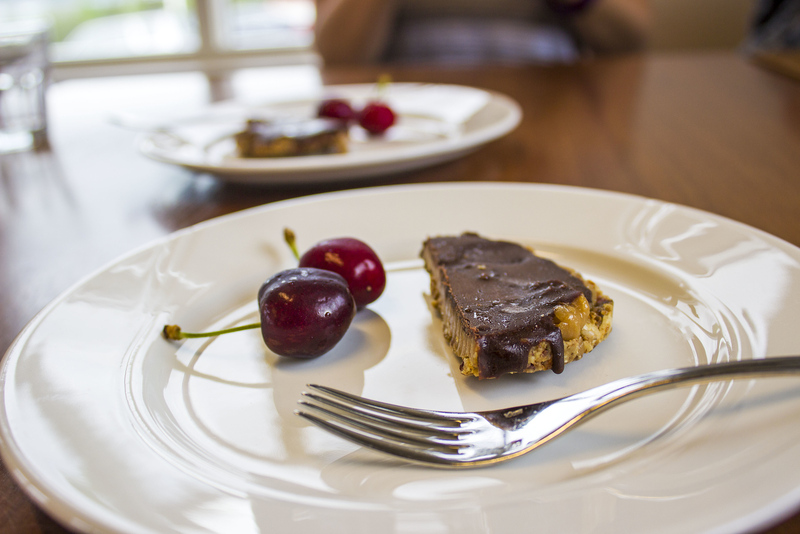 It is a family-run business owned by two locals who care deeply about healthy eating. 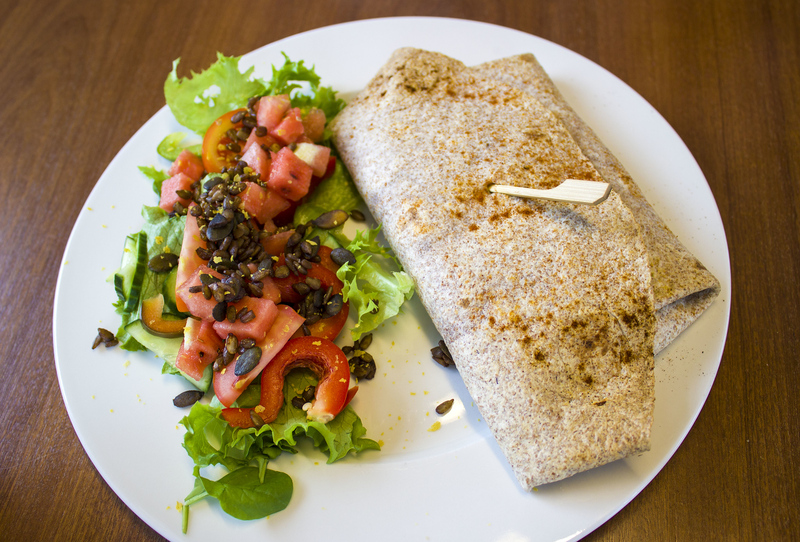 There are raw food options on the menu, as well as fresh juices and smoothies. They try to source their ingredients as locally as possible. Have you eaten any memorable vegan meals? 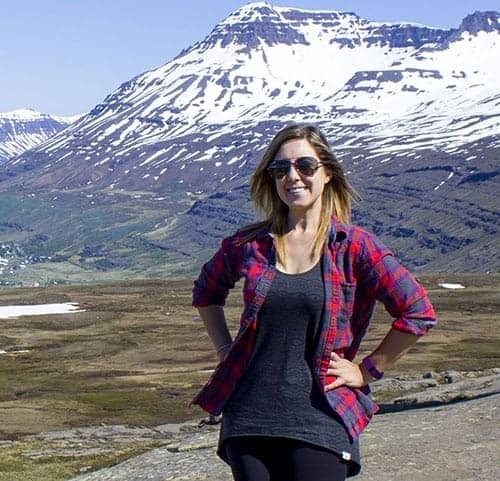 Or any memorable meals in Iceland? 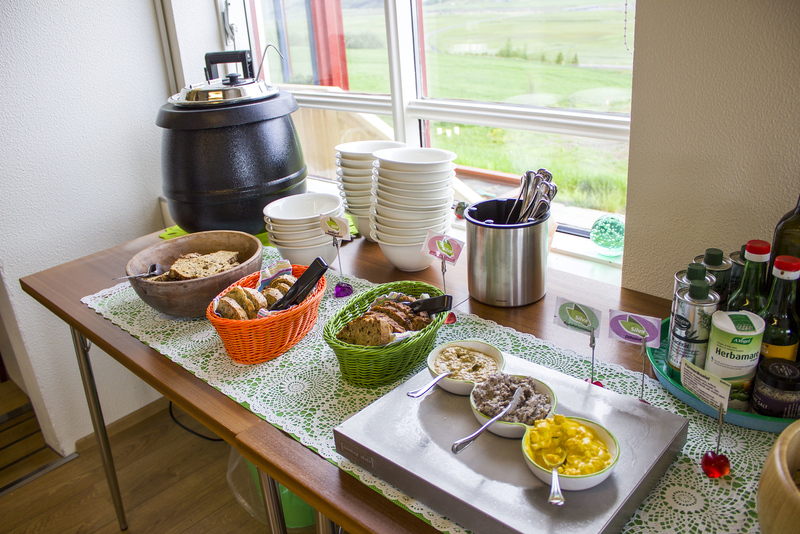 In addition to the regular menu, every meal comes with unlimited access to the soup buffet bar. 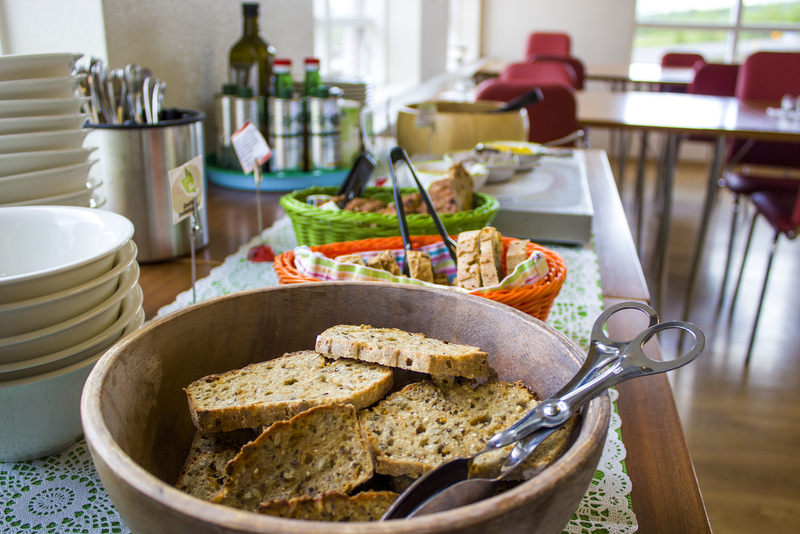 The soup buffet has a soup of the day, freshly baked bread, raw crackers, and a selection of hummus and dips. While we waited for our meals to be prepared, we enjoyed a few trips to the soup bar. 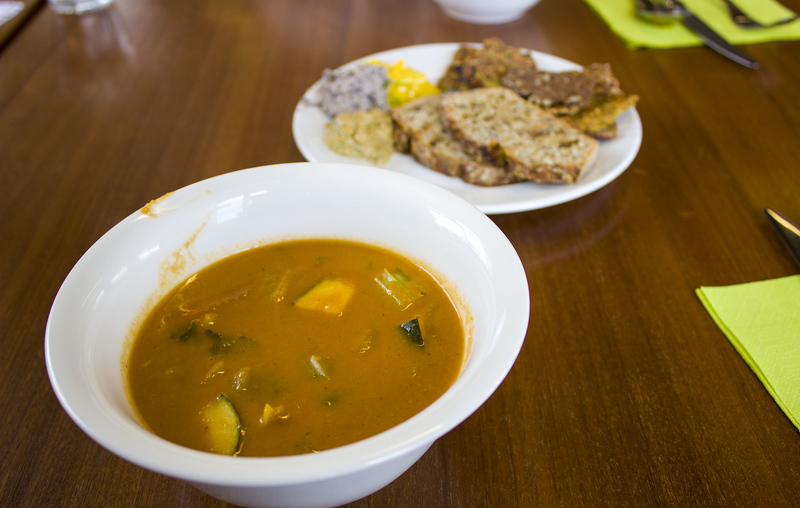 The vegetable soup of the day was hearty and super delicious. We happily savored a couple of bowls each. As for our main dishes, I ordered the barley with mushrooms, and Justin ordered the Mexican tortilla wrap. Both came with giant green salads on the side, and we were free to choose the kind of salad dressing we liked from the buffet bar. It felt great eating a huge salad. 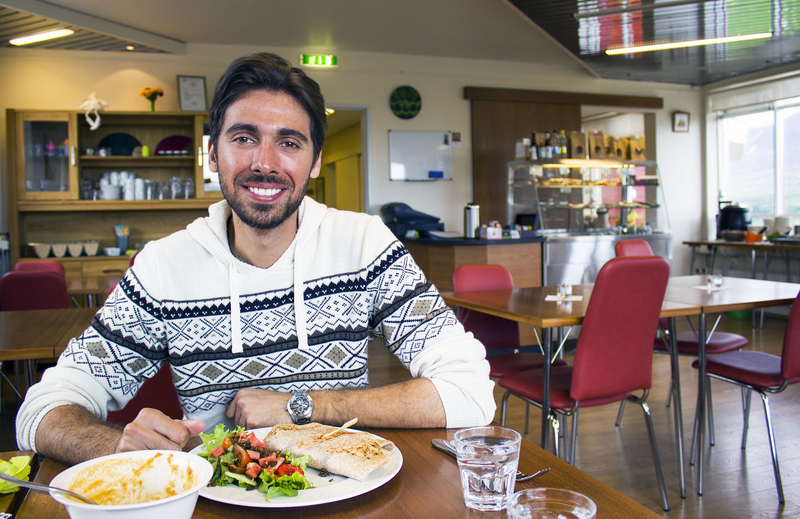 As you might be aware, salads and greens are a little more difficult to come by in Iceland. It had probably been a few days since we had eaten salads, and I ate every last bite. The main dishes were packed full of flavor as they were seasoned perfectly. It tasted like a home cooked meal, made with love. It was a treat to eat a barley dish as that’s not something that I eat very often. Mexican food isn’t very popular in Iceland, so it was interesting to try Mexican-inspired cuisine there. 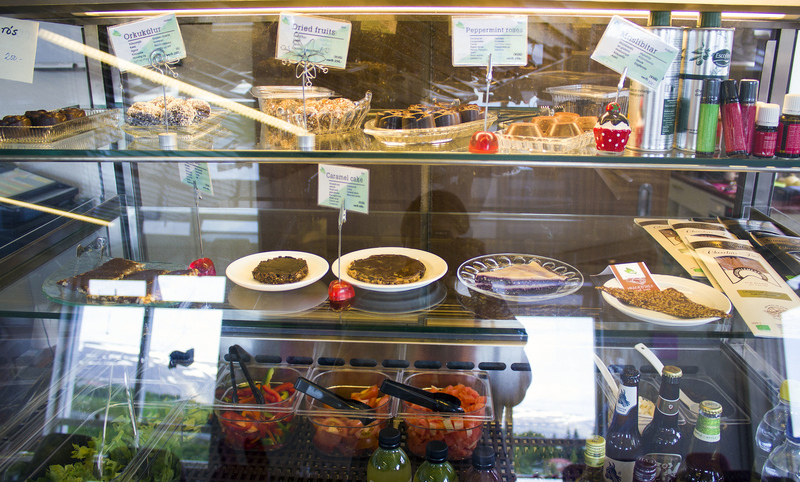 Every dessert at Silva is vegan, gluten-free, mostly raw and organic. They have a huge display of small treats that you can eat there or pack up to bring home with you. Justin and I both ordered the caramel nut cake. Although the cake looked on the small side, it was very rich and filling. It was the perfect portion to indulge my sweet tooth. Our server was very nice and attentive. She was very familiar with the vegan diet, and made sure that none of our meals had animal products in them (the only animal product in one dish is cheese, so everything is mostly vegan). If you have any food allergies, please let your server know and she’ll be able to ensure that your needs are met. 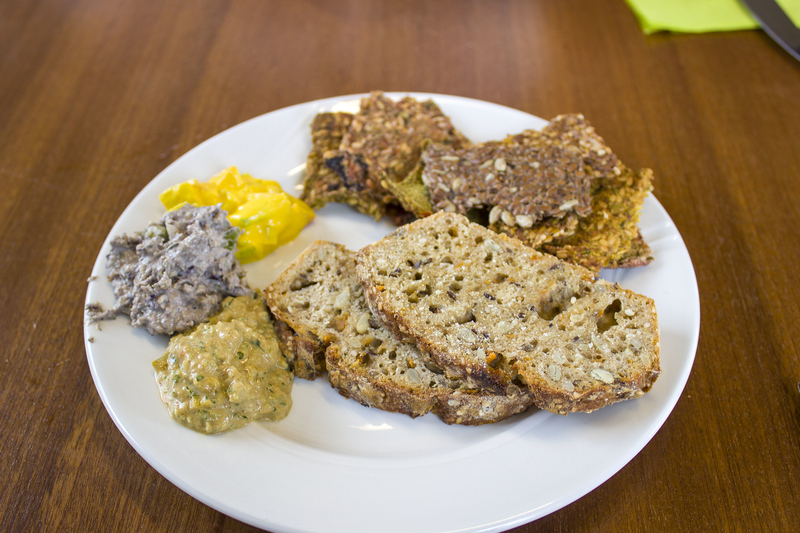 We thoroughly enjoyed our meal at Silva, the only vegan restaurant in North Iceland. I actually dined here on my birthday. I purposely planned the trip so I could have an awesome vegan meal on my birthday, and Silva definitely exceeded my expectations. 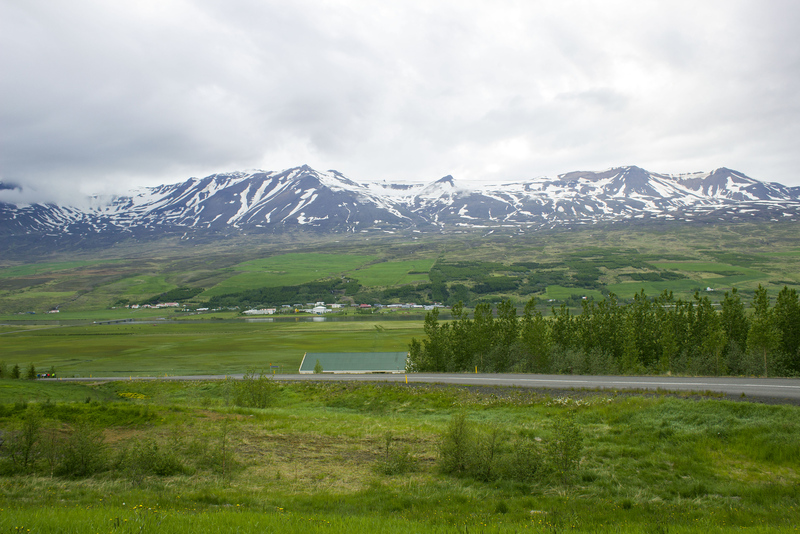 For more travel photos from Akureyri and the surrounding area, check out our Akureyri travel photo album. When we left Silva, we took a few moments to admire the beautiful scenery all around. 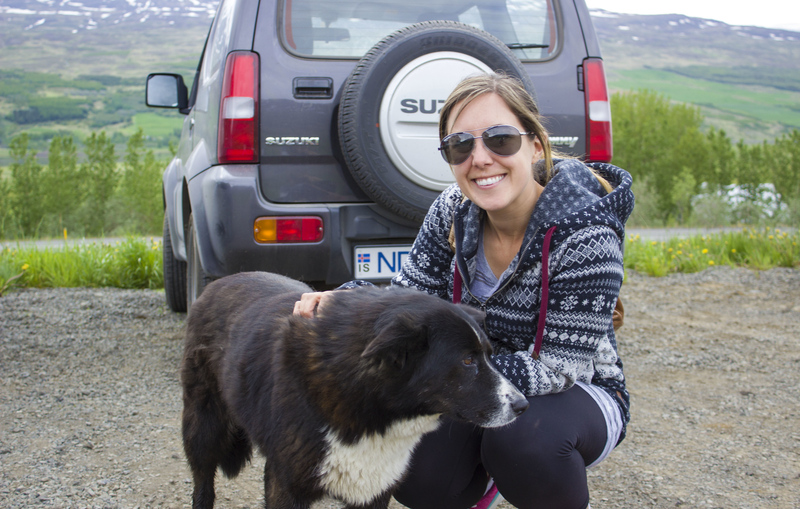 A friendly dog came over for some hugs, and I was happy to oblige. 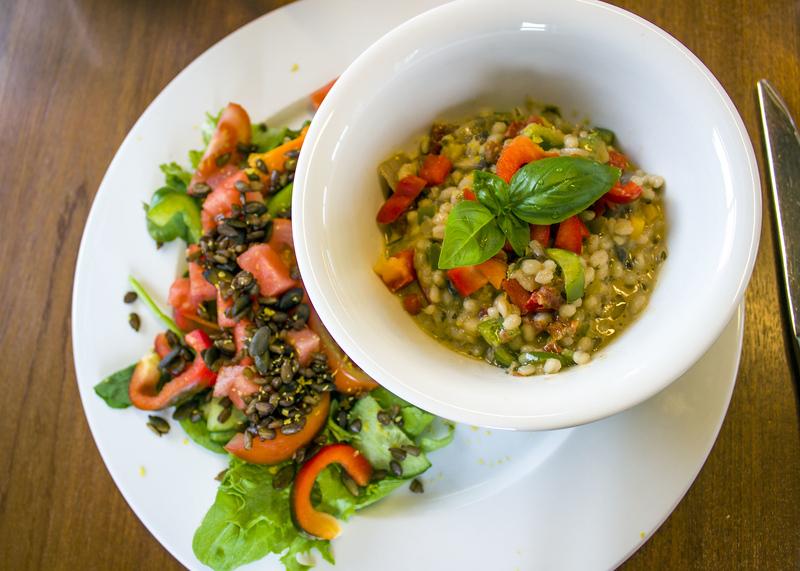 Silva vegan/vegetarian restaurant is open from June 1st until August 31st from 17:00 to 21:00. They also serve breakfast from 08:00 to 10:00, but you must request this in advance. They don’t have any scheduled opening hours during the winter, although they do open upon special request. 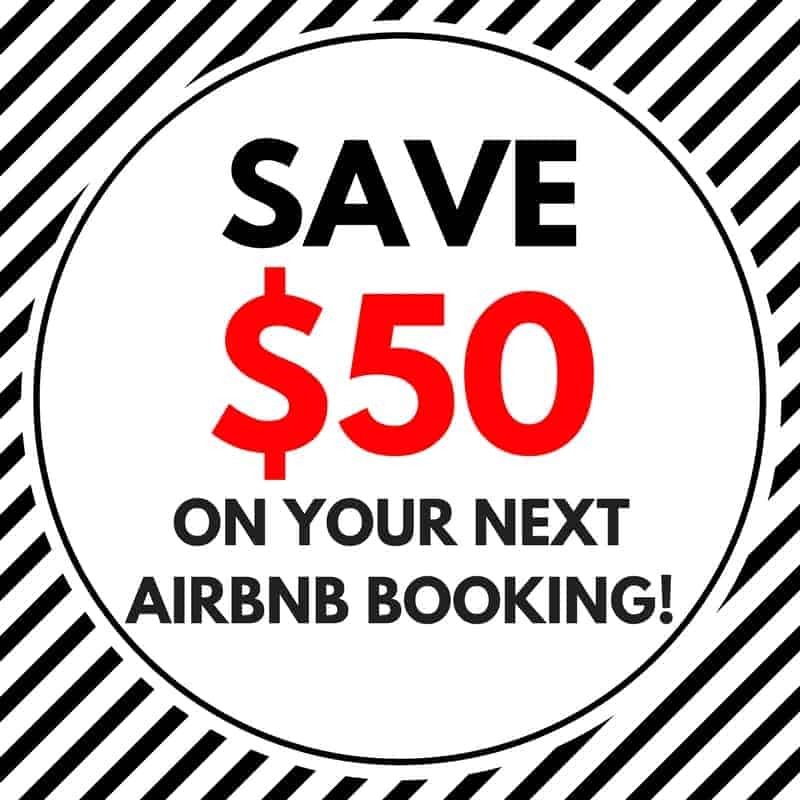 Give the owner, Krístin, a call to make a reservation: +354 8511360.